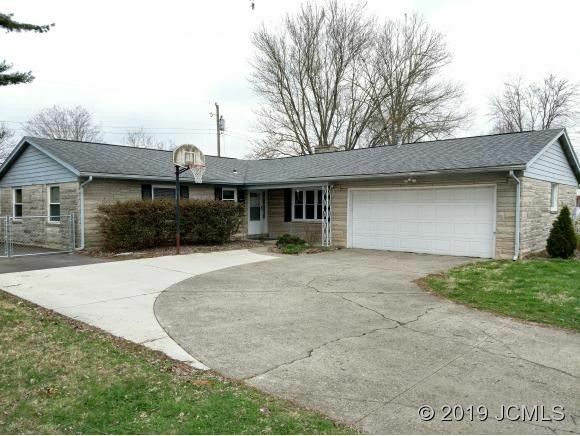 Great Hilltop location with the back of the lot bordering Clifty Falls State Park! This well maintained 3BR/ 2BA stone home features a beautiful fireplace with gas logs that could be used for wood burning heat as well. Attached garage plus a yard barn offers plenty of storage. Fenced yard and deck for entertaining. En suite bathroom to Master BR. A new 200A breaker box was added as some wiring within the house was updated.. New water heater in 2017. Partially finished sunroom will be a great addition when completed. Formally had hot water heat baseboards are still in place but not used. Add this one to your list!